First Choice Distribution has offered their customers quality products, legendary service at competitive prices. Our strength is finding ways to improve our customers bottom-line using creative and innovative solutions. What is the Right Stretch Film for What You are Packaging? Stretch film comes in varying gauges, colors and can be used in numerous applications. Discover the proper stretch film for your application. Read more about What is the Right Stretch Film for What You are Packaging? 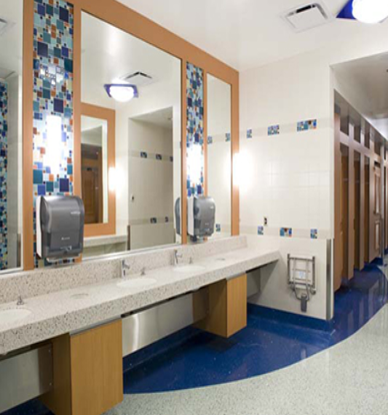 The way your restrooms look and function can have an impact on your companies bottom line, and thus deserve special attention from building service contractors, or your employees to keep them clean and functioning efficiently. They’re hot spots for janitorial activity, necessitating more cleaning and restocking than any other room or area in your building. Cleaning products have become essential in the everyday life of the modern consumer. For this reason, the market continues to grow year on year - global sales of cleaning products are predicted to reach $147,000,000,000 in 2017. It may also be the reason that this market tends to be more resistant to downturns in the world economy than other sectors, such as construction and automobiles. When looking to improve your companies image. Why not take a look at the products that you are using to clean and care for your employees and visitors at the same time. Clorox Fresh Disinfectant Wipes ready-to-use disinfectant wipes. These easy-to-use wipes are safe to use on chrome, glass, metal, plastic, stainless steel, tile, and wood. Clorox Disinfectant Wipes are bleach-free and have a clear-drying formula, leaving surfaces with a shine. Formulated to kill 99.9% of bacteria. KLEENEX® Facial Tissue delivers premium quality, preferred for superior softness, strength and absorbency. 125 shts/box, 48 boxes per case.